It was also the name given to a man’s home. The house stood within a level clearing at a spot called Puʻukapu, along the trail leading to the more upland forested area up Mauna Kea known as Manaiole, what we call Mānā, today. The house, built in the 1830s, was made of rubble-and-mortar construction. Rocks were formed into walls and plastered over with putty lime mortar (the lime obtained from ground coral.) Rubble ruins remain of the house site, today. The home was described as an Irish stone cottage. Some suggest Purdy, along with fellow Waimea resident John Palmer Parker, can be considered the first cowboys in Hawaiʻi. They started out as bullock hunters, selling their salt beef, hides and tallow. In the early-1830s, trade in sandalwood slowed down as island forests became depleted. At about the same time, whaling ships hunting in the north Pacific began wintering in Hawaiian waters. Ships provisioning in Hawaiʻi ports provided a market for salt beef, in addition to hides and tallow. With the economic push of providing provisions to the whaling fleets, ranching became a commercial enterprise that grew in the islands. Jack Purdy (William Wallace Jack Harry Hale Purdy) died on June 22, 1886, at the age of 86; he is buried near his home, Poʻo Kanaka. 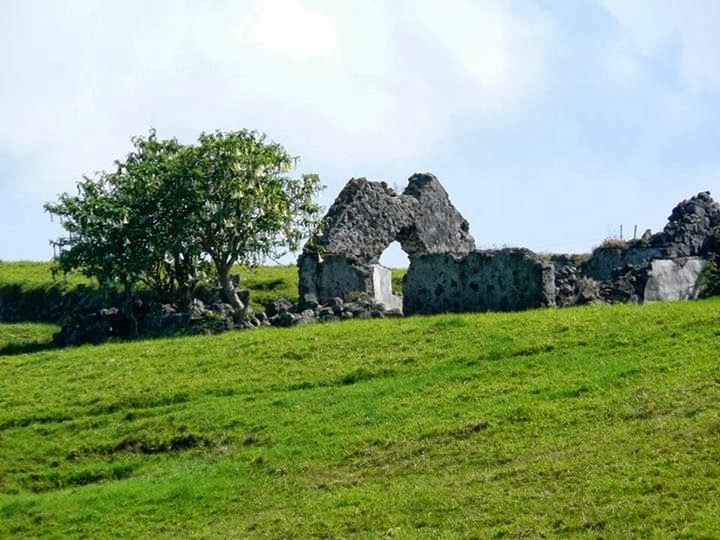 The image shows a Poʻo Kanaka, the ruins of the former stone cottage of Jack Purdy (Parker Ranch.) In addition, I have included other images in a folder of like name in the Photos section on my Facebook and Google+ pages. The ahupuaʻa of Honuaʻula is primarily on Maui, but it also includes the entire island of Kahoʻolawe. 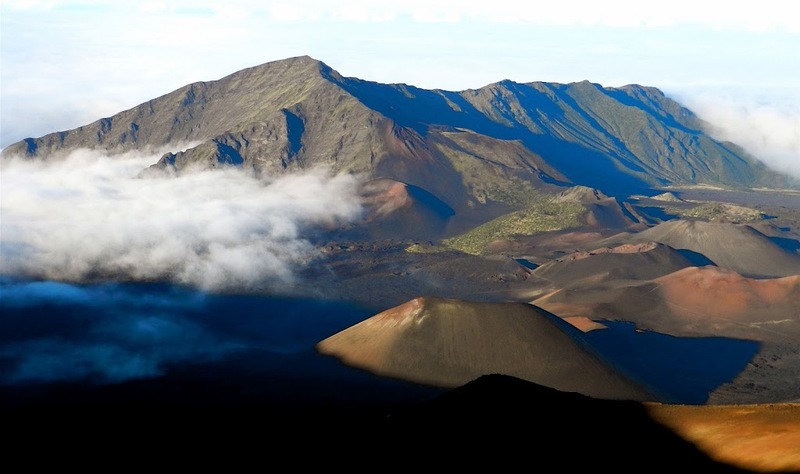 Located in the “rain shadow” of Maui’s Haleakalā, a “cloud bridge” connects Kahoʻolawe to the slopes of Haleakalā. 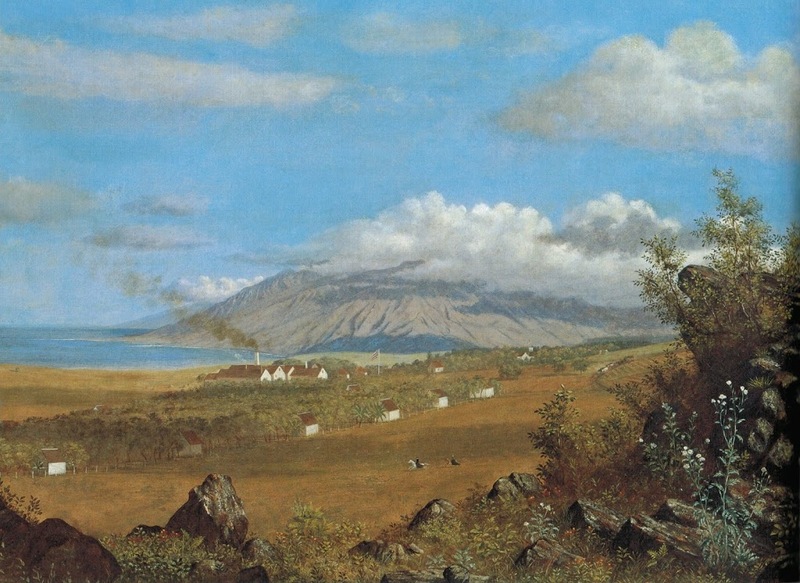 Nineteenth century forestry reports mentioned a “dense forest” at the top of Kahoʻolawe. On Maui, the upper areas were in Sandalwood and Koa forests. Prior to European contact, early Hawaiians farmed sweet potatoes, dry land taro and harvested wood, birds and pigs from these forested areas. The areas below the west and south slopes of Haleakalā (Kula, Honua‘ula, Kahikinui and Kaupo) in old Hawaiian times were typically planted in sweet potato. The leeward flanks of Haleakalā were not as favorable for dry or upland taro. However, some upland taro was grown, up to an altitude of 3,000 feet. But with the purchase, Makee moved to Maui and raised his family on what he called ‘Rose Ranch’ after his wife Catherine’s favorite flower. For three decades (1856-1886), the former whaling captain farmed sugar, cattle and other crops. This early entrepreneur even planted cotton to take advantage of the Union blockade of southern ports during the Civil War. Makee was one of the first to import, on a large scale, purebred stock. He also went in for dairying and his “sweet butter” found a fine market. In 1858 he began the rehabilitation of Torbert’s cane and the crop of 1861 was marketed in Honolulu. The estate grew to be famous for its beauty, hospitality, and agricultural productivity. Catherine Makee’s gardens were the pride of the household with their profusion of roses, flowers, rare plants and shrubs. Visitors today can still admire Catherine’s circular garden beds with their flowering bounty, tended year-round. Rose Ranch was also famous over the years for its hospitality. Newspaper accounts from that time period describe unforgettable parties at which guests danced until the wee hours, lauding the “generous hospitality of the worthy host and hostess” [Pacific Commercial Advertiser, July 14, 1866]. In 1874, King Kalākaua brought Queen Kapiʻolani to the ranch, and was so enthralled that he became a frequent visitor. From Nowlein to Torbert, then the decades of ownership by Makee, then Dowsett, Raymond and Baldwin, in 1963, the property was acquired by the Erdman family. The property is now known as ʻUlupalakua Ranch and it remains a cattle ranch with 5,000-head of cattle, as well as a winery, a country store and grill, and horseback riding and clay shooting. Today, ʻUlupalakua Ranch operates approximately 18,000 acres, 16,000 acres of fee simple land and 2,000 acres leased from the State of Hawaiʻi and private individuals. In 2009, two-thirds of ʻUlupalakua Ranch was placed under a conservation easement assuring that over 11,000-acres will forever remain as agricultural lands. The land extends from coastline property a mile south of Makena to the 6,000-foot elevation, up to the boundary of Polipoli State Park. The easement allows flexibility to pursue a variety of agricultural options, such as growing lumber, exotic vegetables and fruits and pursuing more renewable energy sources. Maui’s Winery is on the property, too. The image shows “Rose Ranch” in 1865, as drawn by Enoch Wood Perry Jr. In addition, I have added other images in a folder of like name in the Photos section on my Facebook and Google+ pages.